The Brothers of Bravo and Echo companies have completed their 10th annual reunion in Branson, MO. 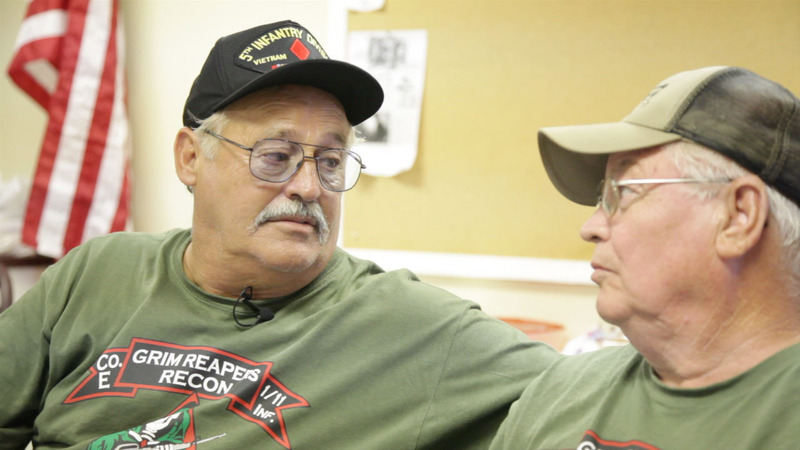 This was our first time filming at one of their reunions, and it was a resounding success. In addition to filming another self-organized memorial ceremony for the 41 KIAs in Bravo Company, and 8 KIAs in Echo Company, we also spoke with local leaders in Branson who are involved in bringing veterans reunions to the town, including the President of the Branson Veterans Task Force, the Director of Advertising and Public Relations at www.branson.com, and the Mayor of Branson.